Promotional letter opener mini rulers - 3 colors are great promotional giveaways for kids and they will be appreciated by their parents, too. 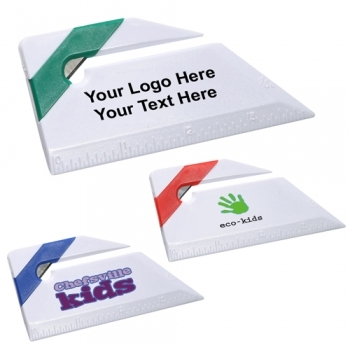 Your brand logo will easily show up over these promotional letter opener mini rulers and it will receive appreciation every time kids or their parents use them. Whether you are giving them to your young customers at the tradeshow booth or at community event or during-in store promotions, these promotional plastic rulers will bring you lot of attention. These products are not intended for children under 3 and parents need not worry because paper cutting blade is concealed safely within the sturdy plastic casing. 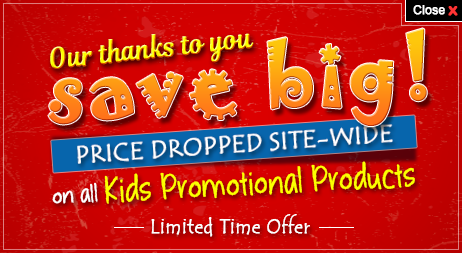 Order today to get started with these promotional giveaways for kids at guaranteed low prices than ever! Request a quote to know the value savings that you can avail on bulk orders of custom printed letter opener mini rulers - 3 colors. Product Size: 4-1/8" x 1-3/4" x 1/8"